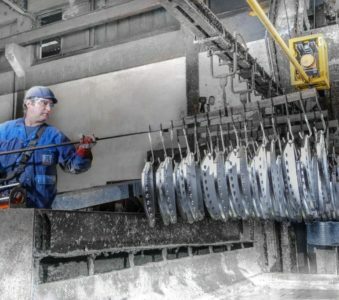 For already 60 years, Mosdorfer-Verzinkerei has been ensuring its customers that their metal workpieces of all kinds are reliably and optimally protected against rust and corrosion in the long-term. 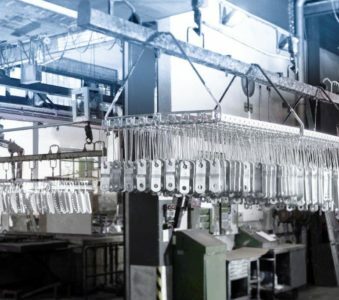 Every year, the Weiz-based company galvanzises around 5,000 tons of steel for its internal and external customers from industry, trade, construction, private and agriculture. 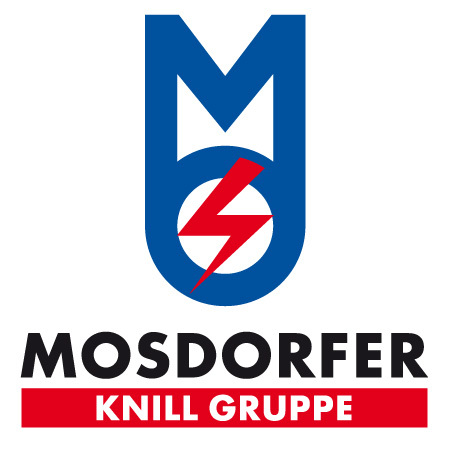 The quality standard EN ISO 9001:2008 is a certified standard at Mosdorfer. Steel is used as a base material in the econmic-indistrual and private sector e.g. for fences, tools, small parts, vehicles, masts, building and civil engineering structures Steel is an unbeatable material in terms of quality/price ration. The only disadvantage: steel is susceptible to corrosion! The meaning of the chemical process called rust formation is the reduction in the service life of the material as well as loss of quality and strength. Today we know that zinc is the optimal (optimum) steel surface protection! In hot-dip galvanizing, the zinc is heated to around 450°C, practically „gets under the skin“ of the steel. A non-removable pure, highly abrasion- and corrosion-resistant zinc layer forms the top layer of the steel. 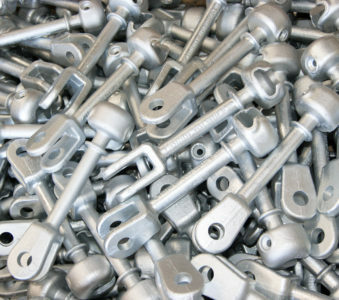 Galvanizing also protects against impact and friction during assembly. Galvanizing is the most cost-effective corrosion protection with the longest duration of protection.